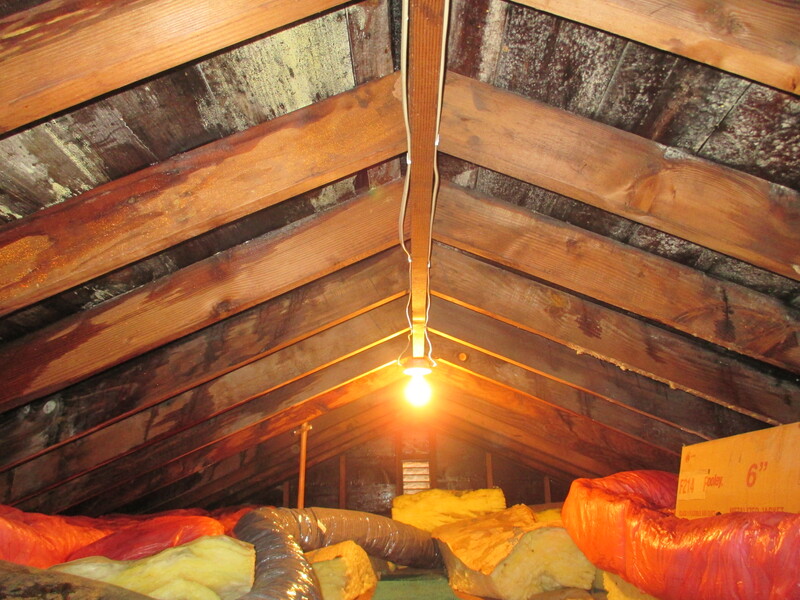 Here’s Photo 1 showing an attic with extensive mold growth due to over insulating an attic. Another issue is poor ventilation, and you can clearly see water marks and saturation on the joist. The photo also shows several layers of insulation on top of insulation. This resulted in nearly $10,000 worth of remediation.